Study and training – It takes a Village! Success doesn’t come without support or training. Last month, Cufa organised a Village Entrepreneur training and study tour in Prey Moak, Takeo province, Cambodia. 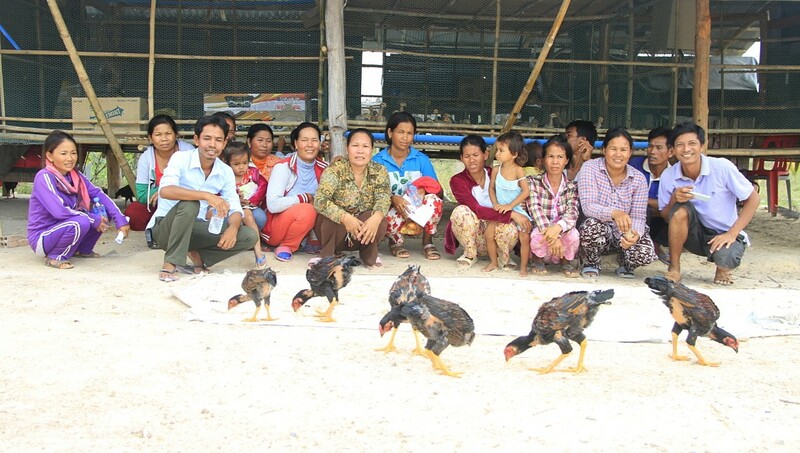 Village Entrepreneurs from Prey Moak and neighbouring Takeo village visited a successful chicken farmer. During the study tour, they learned practical skills on how to build a good chicken coop, look after baby chickens, information on animal health, and sales. With low literacy rates in rural Cambodia, practical training methods including visits to successful micro-businesses are a very effective way for Village Entrepreneurs to learn how they can develop their own businesses. Thanks to the generous support of the investors like you, these Village Entrepreneurs have the chance to achieve a sustainable business, and plan for a new future, free of poverty.